In the subject of heating, ventilating, and air-conditioning systems, it is impossible not to touch on the issue of pollution. Governments around the world are working hard to fight air pollution through passing and implementing new environmental laws and policies. Air especially in the cities cannot be called fresh anymore in as much as it has already been contaminated by dust and pollutants brought by industrial plants, vehicle smoke, and many other sources. This air consequently gets into our homes, causing poor Longview indoor air quality, discomfort, irritation, and health risks. 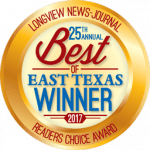 One special area in the field of Longview air conditioning and heating is indoor air quality improvement. Since homes and buildings are basically enclosed, they are capable of manipulating the flow of air and the pollutants that it carries. This is where the topic of air filters comes in. Air filters screen the air to remove irritating and health-hazardous particles such as pollen, dust, spores, and other contaminates. Note that what heating and cooling systems do is to circulate the air around the house, so the absence of air filters to the equipment pose high risks of contact with harmful and unwanted pollutants. Now that the importance of Longview indoor air quality has been pointed out, let’s proceed to what is out there for homeowners. There are basically two types of air filters: one, a centralized furnace or air con mounted unit that works for the whole house; and two, a portable unit that serves individual rooms. Both types offer various models with different cleaning methods and features. Choosing between furnace-mounted and portable, single room unit filter basically depends on the type of house the equipment will be serving. A condominium or apartment unit, for example, may be advised to use a single-room air filter, while a town home may be advised to employ a furnace-mounted system. Media and HEPA air filters, in a nutshell, both employ pleated media to remove particles. Both are proven to eliminate 99 percent of irritants. The difference, however, is that the former is more efficient in screening very small particulates like bacteria, viruses and dust than the other. Media and HEPA air filters are cost effective Longview indoor air quality enhancers in as much as the screening media are replaced only once in every one or two years. In these times when the world becomes more industrial and urbanized, it is important for homeowners to protect themselves from health risks brought by air pollution. Air conditioners, furnaces, ventilators, and other heating and cooling systems should be accompanied by necessary air filtering devices to ensure the household’s health and safety. Call your HVAC contractor today and inquire how you will further improve the house’s Longview indoor air quality.